He's a cowboy looking for love. She's a makeup artist looking to re-invent herself. When they meet on a reality dating show, will it be fireworks or disaster? 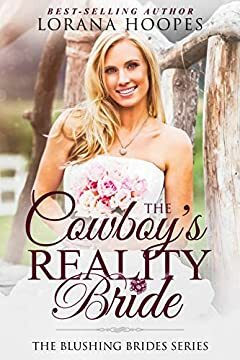 Cowboy Tyler Hall never thought he would be a contestant on a reality dating TV show, but after his latest breakup, his best friend's wife talks him into auditioning. When he gets word that he's been chosen, he can't believe it, but as his last few relationships have ended poorly, he decides to try something different and take a chance. However, he gets more than he bargained for when he falls for a woman who is not a contestant. Laney Swann has been running from her high school insecurites for years, but when she loses her job, she ends up having to return home and reunites with an old friend who convinces her to do the makeup for a reality tv show. Laney expected it to be just a job until she met the bachelor. Now she has to control her feelings while watching him date other women.Will she ever get the courage to tell him how she feels? And if she does, will he prove different from the other men in her past?